Big profit "forced out" two daily limit, this stock has a leading phase! The three major contributors, the market did not rise and fall, today's market makes many investors feel depressed. In addition to the poor performance of the index, individual stocks are more "potholes". There are less than 40 stocks in the two cities, and only 5 stocks are connected. However, there is a stock today, but it stands out in the "worldwide".And this stock I was really operating when I was, I bought the daily limit on Friday, and I got a daily limit today. Yes, this stock is:Chengmai Technology. Most of the first impressions of Chengmai Technology are definitely from a reduction announcement last week. On April 10, Chengmai Technology announced that the three shareholders of the company intend to reduce the total shareholding of 16.97% in six months. 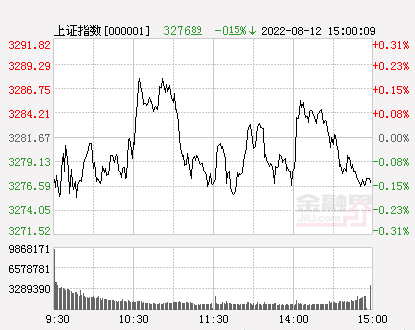 Generally speaking, such a bad position is definitely a "nuclear bomb" level, but Chengmai Technology has driven low on the second day and received a positive line. If it starts to buy, it can earn 2%. Here to explain to everyone, why is Chengmai Technology going low on the day, a very important reason is that the day's low opening has already digested the bad, and although the reduction of 16.97% figures looks scary, but the exchange regulations In the three trading days issued by the reduction announcement, it is not allowed to sell, and the reduction is held by means of centralized bidding. The total number of shares held for any consecutive 90 days does not exceed 1% of the total number of shares of the company. In other words, within 3 trading days after the announcement of the reduction, major shareholders cannot directly sell them.The so-called bad, more is the psychological impact. Of course, after analyzing this, it does not constitute the reason for Chengmai Technology to buy. Because "not falling" does not mean "rising", if we buy shares in Chengmai Technology and the stock price has been sideways, then buying is meaningless, not as short. So why did I choose to buy Chengmai Technology? I am a standard fund player and rarely do hotspots. In my opinion, the so-called hotspots are only those hot money funds or bookmakers, which create a profitable effect by pulling up the daily limit, and then attract retail investors. Into the "scam". Most retail investors are slow to respond to hot spots, and when they see hot spots, they are already taking over. The first-hand advantage is gone, and the retailers still fight with the main force, how can they make money? Therefore, in my own mode of operation, I choose, buy, hold, and sell from the perspective of funds. The advantage of doing this is to abandon the emotional interference and avoid the big cause caused by the market sentiment. Crash. For example, today's market, the daily limit board is countless, but Chengmai Technology is still firmly blocking the daily limit because there is no emotional funds. Do not talk too much nonsense, the following time, I will come to give you a one-by-one explanation of the logic of choosing Chengmai Technology. First of all, we must be clear that the essential factor of stocks' rise and fall is the inflow of funds. No matter which stock, no matter how good or bad, the performance is good, if there is no continuous buying action and capital inflow, it will definitely not rise. .
Like commodities, stocks are bought and sold. Also follow the supply and demand relationship of the capital market. In the stock market, the so-called "supply" is the chip supplier. To put it bluntly, it is the person who holds the chips in his hand. This group of people hopes to obtain the return of funds by selling the chips, which is the empty side that everyone often says. The so-called "seeking" is definitely the chip demand side, and this part of the people hope to use the funds to buy chips, which is what many people often say. In the game between the multi-party and the empty side, the stock price fluctuates accordingly. After understanding the above principle, let's look at the stock of Chengmai Technology. 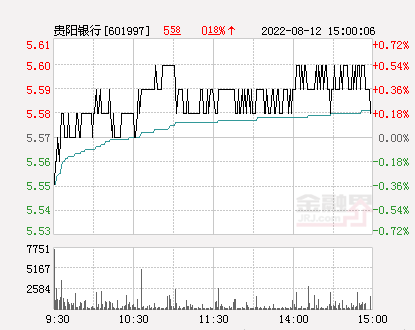 Chengmai Technology harvested its first daily limit on Friday and today it has another daily limit. Why do I choose to buy on the first daily limit board? Explain the theory of chip supply and capital demand above me. The reason why Chengmai Technology was able to limit the price on Friday was that the fund-raising force of the fund (multiple parties) was far greater than the selling power of the chip (empty side). So, on the last Friday, what is the status of the funds and chips in Chengmai Technology? We watched the day of April 3, and Chengmai Technology rallied back. On the same day, it took out a heavy-duty Yinxian line with a total turnover of 369 million yuan. After this, Chengmai Technology began to adjust continuously. If the 369 million funds were not sold that day, it is definitely a set. 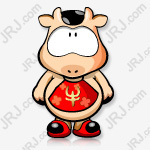 On Friday (April 10), Chengmai Technology once again had a daily limit. We can see from the K line that the position of the daily limit on the last Friday was just the highest point of the large Yinxian line on April 3. In other words, the funds that were quilted on April 3 can all be released on April 10. So what happened on this day? On April 10, Chengmai Technology sold 382 million yuan throughout the day. That is to say, although Chengmai Technology had 369 million sets of entrenched sheets on April 3, on April 10, the longs spent 382 million yuan. Undertake these sets of hard disk, even if the previous set of hard disk is all out, Chengmai Technology can still firmly block the daily limit. You have 369 million yuan in chips, I have 382 million yuan in funds, no matter how embarrassing, you are not dying of me. Therefore, Chengmai Technology is an excellent buying point. The above is the whole process of analyzing and judging the purchase of Chengmai Technology. I used this method before and I managed it successfully.Dongfang ElectricwithDingjie Software, have harvested at least 20% of the proceeds. Of course, it is not enough to judge the purchase point. It is also important to judge the selling point. If there is a trend like Chengmai Technology, if you sell it too early today or can't stand the washing, even if you buy it last Friday, you may lose money today.If you want to learn my set of a full set of trading systems including selection, buying, holding, and selling, you can click on the link below to purchase my course "from buying to selling, seven lessons to teach you to catch the daily limit." The course consists of seven lessons, each of which is 20-30 minutes. In addition to the stock selection method I introduced above, there are other methods for selecting stocks from different levels.The original price of the course is 299 yuan, but in order to recover the cost as soon as possible, the last 2 days to go home 39.9 yuan, basically a transaction fee. Permissions are permanent, pay once, and watch forever. After the subscription is completed, WeChat scans the QR code below to add the assistant WeChatJrj2078Receive course supporting courseware. Later Hunter X will hold regular lectures and live broadcasts on the course content to help you understand the course content more quickly and master the method of catching up and down. Others don't say too much. I think that stocks must be based on methods in the end. By luck, stock picking, and feeling operation, once or twice can make money, but the possibility of achieving stable profit is zero. If you have recently lost money or can't find a good stock picking method, you can subscribe to my course. I firmly believe that my course will never let you down.